What Does the Fed’s Prediction of Increasing Growth Mean for Business Owners? Last month Chairman Bernanke spoke and the markets reacted by dropping more than 5% in a few days. Clearly he must have shared some very bad news for business owners. Actually not! Coming into the year many observers thought that the federal budget sequester would put the economy at risk of stalling at best and dropping back into recession at worst. Instead the Fed now foresees annual economic growth at 2-2.5% this year, moving to as much as 3.5% by 2015. And it’s the private sector that’s carrying the load, not government programs. Let me say that again. The Fed now believes that growth is going to accelerate over the next several years. As a result the economy may not need so much artificial stimulus (QE) going forward. The economy is no longer digging a hole; we’re back to building a foundation of real economic growth. What does this mean for the deal business and for private companies considering M&A or corporate finance transactions? 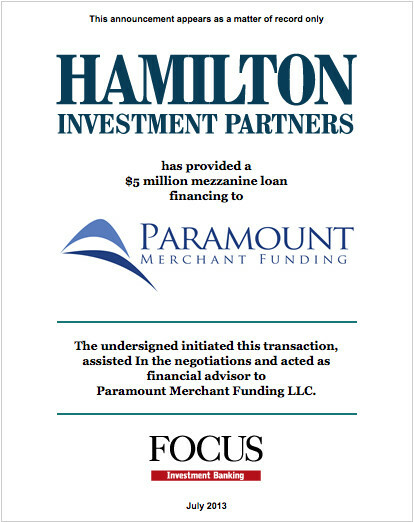 Bottom line: there is going to be much more demand for capital to fund growth. 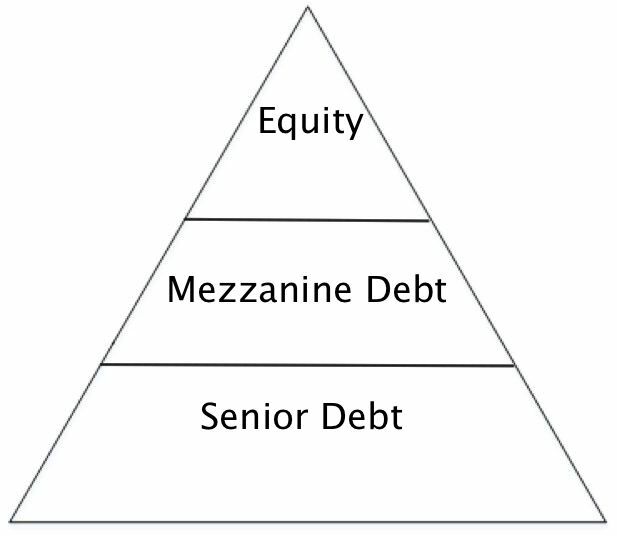 Unless the banks step up to the plate, which we believe is unlikely, this capital must come from private lenders and equity providers. Permalink | | Comments Off on What Does the Fed’s Prediction of Increasing Growth Mean for Business Owners? Small business lending has grown steadily since the end of the recession. The Thomson Reuters/PayNet index focuses on loans to borrowers with total indebtedness under $1 million. 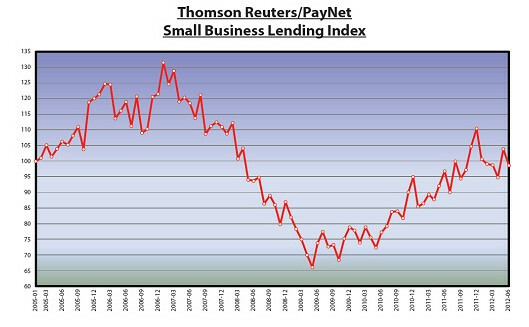 In a related story it was reported that preliminary June data not reflected in the chart above shows a sharp 5% drop in small business lending. The article paints a rather gloomy picture for small businesses and the economy as a whole. According to Paynet the Thomson Reuters/PayNet Small Business Lending Index (SBLI) measures the volume of new commercial loans and leases to small businesses indexed so that January 2005 equals 100. Because small businesses generally respond to changes in economic conditions more rapidly than larger businesses do, the SBLI serves as a leading indicator of the economy. The index is a highly correlated leading indicator of the GDP by 2 to 5 months.